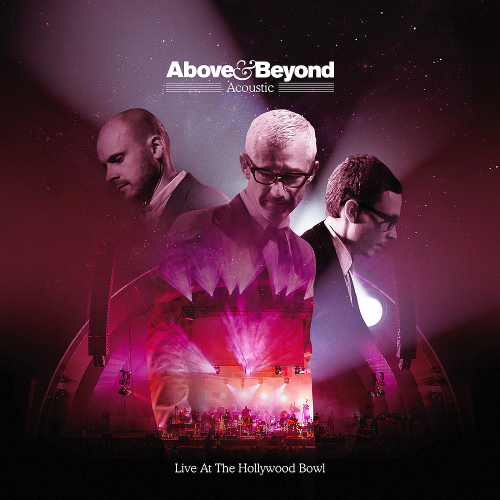 Date: 18.04.2018 | Chillout, Downtempo, Lounge, Lo&Fi | Tags: Above and Beyond, Acoustic, Live At The Hollywood Bowl, Anjunabeats Records, Liquid Love, Stealing Time, Good For Me | Download Above & Beyond - Acoustic: Live At The Hollywood Bowl (2018) for free. Giving Up The Day Job, the story of our latest Acoustic odyssey, is released worldwide April. Known collectively as Above & Beyond, Jono Grant, Tony McGuinness and Paavo Siljamaki make up one of the worlds most successful dance acts, with recent artist album Common Ground entering the Billboard at number three. The Grammy-nominated trio left the electronic music world behind. Above & Beyond Acoustic: Giving Up The Day Job follows the groups unlikely journey from the DJ booth to the Hollywood Bowl, from the initial re-imagining of songs at Abbey Road Studios, through to their presentation at iconic global venues such as Londons Royal Albert Hall, the Sydney Opera House and finally the Hollywood Bowl.